Welcome to Control Electric Company Pvt. LtdUndertaking Turnkey Jobs for Industrial Process Automation, PLC, SCADA, Instrumentation & PanelEngineeringThe company was established in the year 1995. Our state-of-the-art manufacturing unit & wide range ofproducts have helped us to earn present repute in the market. We are well known in the industry for our timely delivery, competitive pricing, client centric approach &excellent quality. Our products find application in Air Dryers, Seed Processing, Water Treatment Plant & Material HandlingEquipments. Rico Auto Industries Ltd. , Appolo Hospital Ltd. & Indian Oil Corporation Ltd. are some of our elite clients. 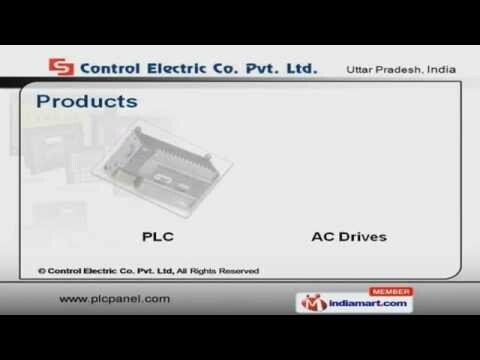 Our product list includes wide array of PLC & AC Drives. We provide premium grade Process Panel Meters & Web Based systems. Along with that we provide Motor Control Centers & Mimic Control Desks. Power Distribution Boards & Soft Starters are some of our best selling products.